Twenty Twelve has been an odd year for writing. Let me just say this right up front: Odd. Year. My physical worries got in the way, the applecart of my daily routine was upset by changes in my day job, and at least 10 other lame excuses prevented me from writing. There were months when I just didn't have anything to say, let alone record it indelibly for the world to dissect. I think if someone had given me the opportunity to become a monk this year, I might have considered it. Wait. The year is not over. And I do look adorable in a cowl. That said, I did occasionally crawl out of my burrow to write. I even wrote a couple of pieces about writer's burnout, but mostly I chose to concentrate on interviews and reviews with other writers because this felt right. These writers continue to inspire me, so let's start with them. Starting with the most recent interview, in September I was asked to guest edit/read for SmokeLong Quarterly. There were some excellent stories in the group that I read. I even asked the editors of SmokeLong if I could approach three of the writers whose work I loved about publishing their stories at Metazen. In the end, I chose the story "The Abridged Autobiography of an American Sniper," which turned out to be written by an exceptionally talented writing compadre, Linda Simoni-Wastila (the selection process was blind). Here is my interview with Linda: Smoking with Linda Simoni-Wastila. Gill Hoffs was living in Scotland at the time I interviewed her here at I Must Be Off! She's since moved back to England, but I assume there's still wildness coursing through her veins and into her pen. Her short fiction/non-fiction book Wild (Pure Slush) takes the reader to craggy cliffs and tumultuous seas. I talk to her about it HERE. You can buy it HERE. 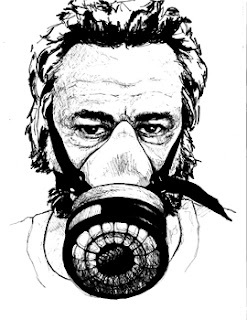 In January for Metazen, I reviewed Susan Tepper's flash novel From the Umberplatzen. In June, I reviewed Julie Innis's short story collection Three Squares a Day with Occasional Torture and in November Berit Ellingsen's Beneath the Liquid Skin. It goes without saying all three of these books are fantastic, magical and damn good. In June I was asked to review fiction for Fictionaut, a community of writers founded by writer Jürgen Fauth, whom I also interviewed about his stint in the American South as part of my Expat Author Interview Series. The first collection of short stories I reviewed for Fictionaut was Sheldon Lee Compton's haunting The Same Terrible Storm, the second Fauth's Kino. In November, Fictionaut reran my Metazen review of Innis's Three Squares a Day with Occasional Torture. It's a tricky business reviewing books from a community. It's highly unlikely that I'd write a negative review of another Fictionaut's book, but it's also beyond unlikely that I'd lie about how I felt about a book. I think the policy here is the classic "If you don't have something good to say . . ." In January 2013 my review of Kathy Fish's Together We Can Bury It will go live. 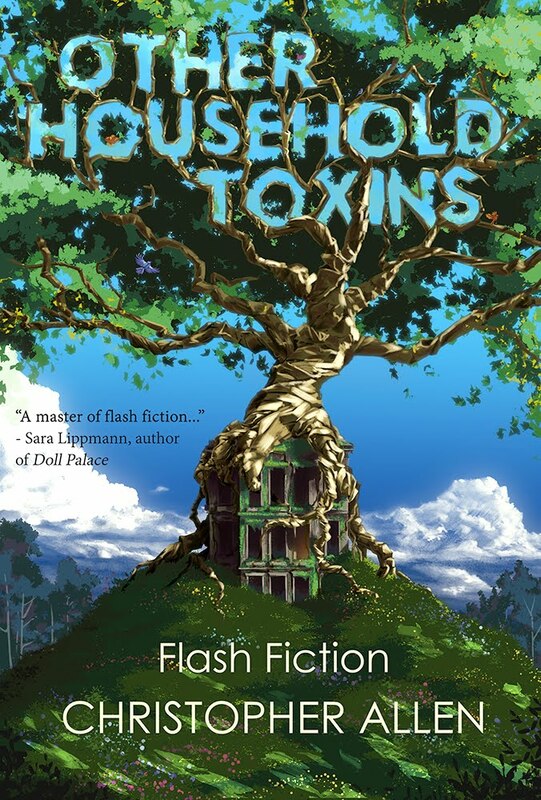 I'm on my second reading of this must-read flash collection and LOVING EVERY MOMENT OF IT. It will be very easy to have something good to say about this one. This year I talked to so many expat authors, including Matthew Hamilton, Robin Graham, Tania Hershman, Michelle Elvy and Marcus Speh (the last also in German). These interviews continue to get lots of hits long after they went live. Thank you to all these beautiful people for joining the Expat Author Interview Series this year. If you, sweet reader, are an expat writer and would like to join this series, let me know. And then . . . there were the beautiful people who interviewed me. Goodness, there were so many of them this year. Maybe I crawled out of my burrow more frequently than I thought after all. I'm going to break them down into three categories, mainly for my tired brain. In fact, this entire post is mainly for my tired brain. Gay Degani of Flash Fiction Chronicles is one of the kindest people I have met in the world of online fiction. I won't bore you with the entire story, but the circumstances that led to this killer interview humble me and fill me with gratitude. Gay, you are one of the good ones. Dan Powell, a British writer living in Germany whom I've also interviewed in my Expat Author Interview Series, asks me a few questions about my life in short fiction that compelled me to dig into my past in a way I've never done before: through the stories that influenced me. 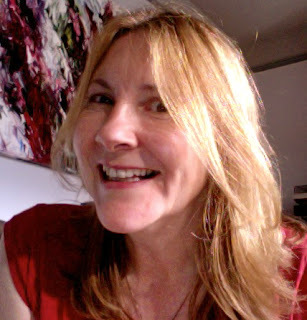 Nancy Stebbins of SmokeLong Quarterly talks to me about the creation process and my story "When Chase Prays Chocolate." Oh, yes! I forgot to mention that I published a book this year (cover art by Jennifer Noel Bower). We'll get to the book itself later, but right now I'd like to focus on the lovely people who interviewed me about the book. Each one of these fellow writers and reviewers asked me such relevant, challenging questions. If you are one of those readers out there who's wondering whether you want to read my book, start with a few of these interviews. Start with Michelle Elvy's take on the book and then browse your way through this list. After reading all of these interviews, if you still have questions about the book, well, you can call me. Christopher Allen's Big Beautiful Blog Tour - at Michelle Elvy's Glow Worm (also reposted at Gay Degani's Words in Place. 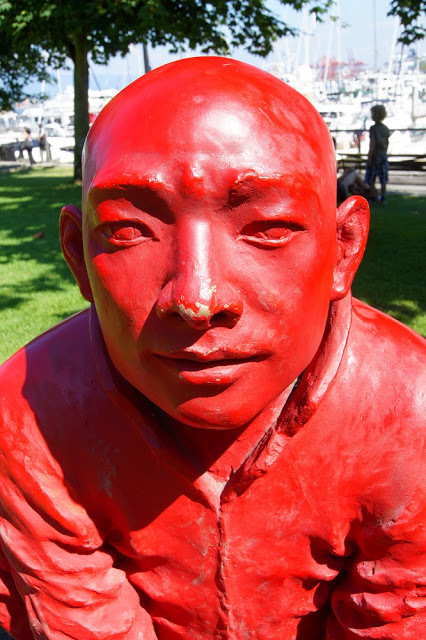 Thursday Thirteen: 13 Questions for Christopher Allen - at Kimberly Menozzi's Fourth Person. Obscured. Conversations: Allen to Bower/Bower to Allen - at Referential Magazine. 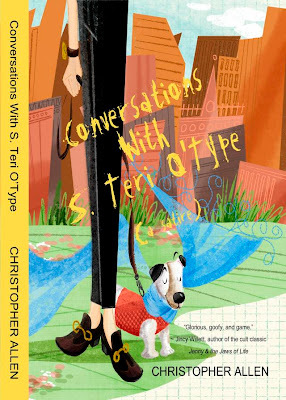 A conversation with the illustrator of Conversations with S. Teri O'Type, Jennifer Noel Bower. Conversations with S. Teri O'Type (a Satire) - published August 28, a rather large baby. A gay baby. He's doing well. Check out what people are saying. Read excerpts from the book HERE at Hart Johnson's Confessions of a Watery Tart and HERE at Dorothee Lang's life as a journey. "When Chase Prays Chocolate" - Issue 36 of SmokeLong Quarterly. Nominated for the Pushcart Prize and chosen for inclusion in The Best of the First 10 Years Anthology (early 2013). Thank you to editors Tara Laskowski and Nancy Stebbins! And any of the other editors who voted for my story. And those who didn't. Bases covered. "Triangulation" - A-Minor Magazine. Nominated by editor Nicolette Wong for Best of the Net. Thank you, Nicolette! "How to Do Fine" - in Chicken Soup for the Soul: the Power of Positive in bookstores. Looking back at 2012, I see it was a year to reflect. I get that. But it was also the year I pulled myself up by my bootstraps and published my first book. I even started a new blog--Oh Mighty Gayru!--to celebrate its birth and development. I hope you'll stop by and check it out. As all blogs do, it will find its own way and character as it grows. As we leave 2012 behind us, we look forward to the adventures 2013 will bring. I wish you success in your career, your relationships and your health. Thank you for reading I Must Be Off! And thank you for taking the time to read anything I've written this year. As usual, doing so makes you 84% more adorable. Wow, what an amazing year! I only hope I'll get to write a book someday too. Happy Holidays!! Happy Holidays and a Happy New Year, Laura!